Day 5: Melbourne City, Australia. I was in the Melbourne city town on my own in the evening as I did not join my friend for the trip down to Philips Island for the Penguins tour. I took a tram from the St. Kilda to city after I went to the post office nearby my Airbnb’s apartment to post the postcards to my teammates and my client. 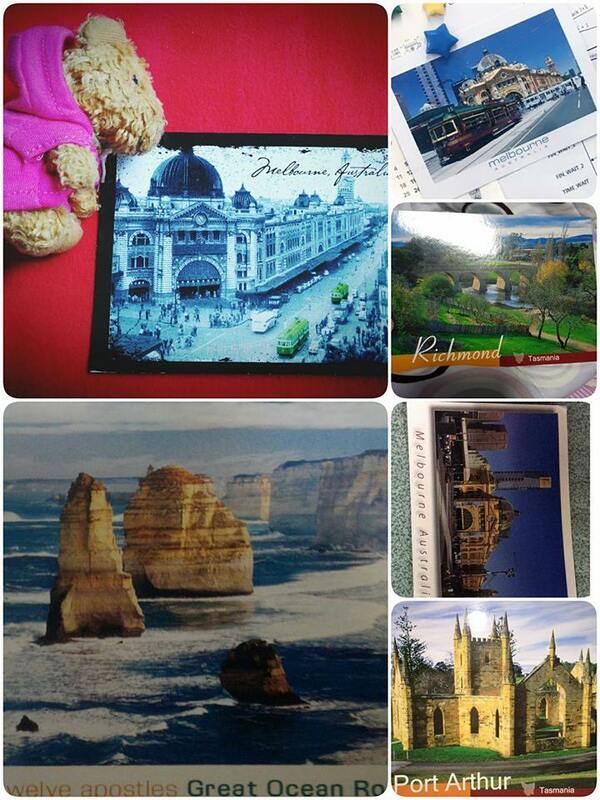 I posted a few postcards from Melbourne back to Singapore, Malaysia and South Korea for my closed friends too and one for myself. I think it is a great idea to do it every time I travelled to a place. I shall thank to my teammates who brought up this idea when I was in Tasmania. When I reached the city, it started to rain quite heavily and I sought shelter at Southern Cross Train Station. I waited quite a while before the rain stopped. I started to walked around in the city by my own. 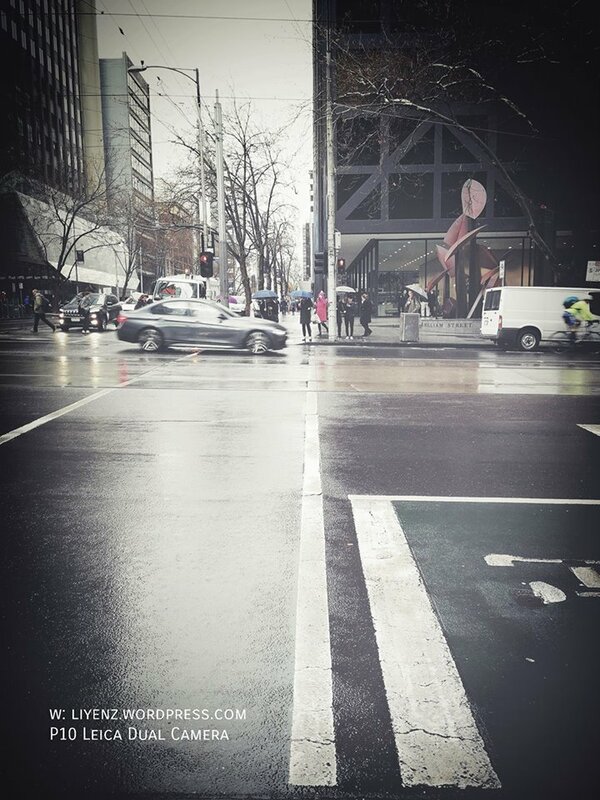 I walked out from the Southern Cross Railway station and crossed the road. 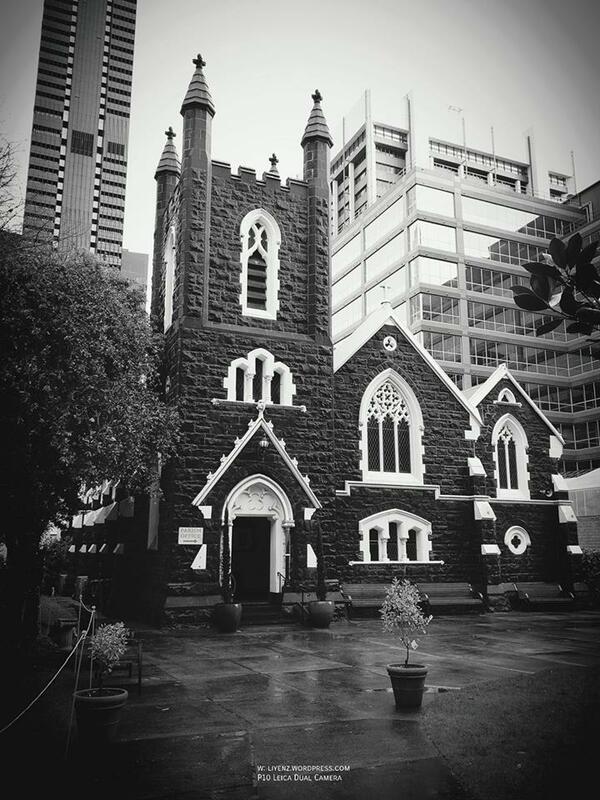 At one of its corners, I saw this black and white’s church and I took a picture of it. There are many churches around in this city. It was cold and chilling evening. Everyone walked on the street, at that time, it was after the working hours and rain stopped. It was a peak, rush hour for the locals. Just at this junction while I was waiting for the pedestrian’s green light, I suddenly have a strong feeling, I wanted to have a pair of warm hands to warm up mine and wish someone could walk with me by my side at that point of time. The feeling came into my mind naturally and I told my friend about it the following night. She told, I was in deep feeling and I tried to brush them off, by saying, “these are just illusions”. The same feeling travelled with me back to Singapore and it lasted for about another one and half month before I realized it was purely illusion and I could carry on without it. Even now, sometimes, I will think again about this feeling and share it with other friends. However, there is no sign of having further development on it. I lay my trust on God to decide who the right man for me and I trust Him will send the man to me one day.